Prezentare At the conclusion of The Mark of Athena, Annabeth and Percy tumble into a pit leading straight to the Underworld. The other five demigods have to put aside their grief and follow Percy's instructions to find the mortal side of the Doors of Death. 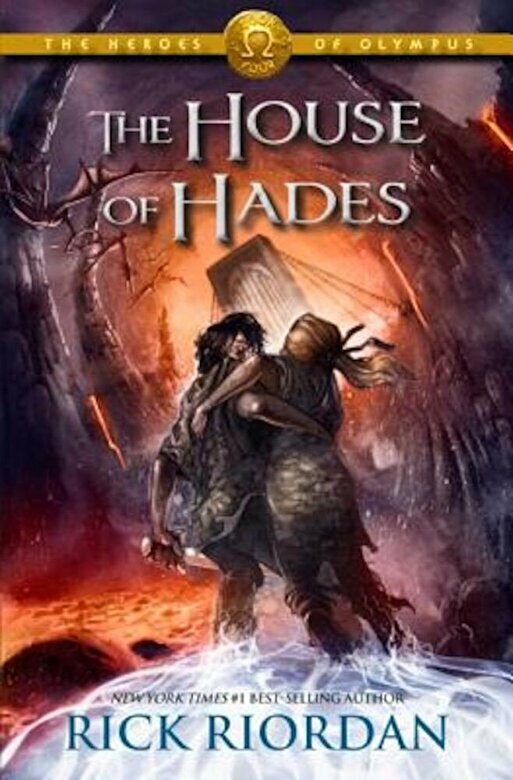 If they can fight their way through the Gaea's forces, and Percy and Annabeth can survive the House of Hades, then the Seven will be able to seal the Doors from both sides and prevent the giants from raising Gaea. But, Leo wonders, if the Doors are sealed, how will Percy and Annabeth be able to escape? They have no choice. If the demigods don't succeed, Gaea's armies will never die. They have no time. In about a month, the Romans will march on Camp Half-Blood. The stakes are higher than ever in this adventure that dives into the depths of Tartarus.